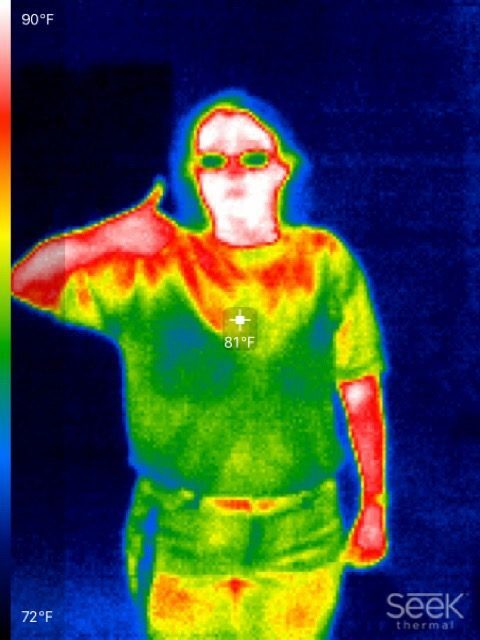 Through the use of thermal imaging adapters, 8th graders at Ottoson Middle School visualize heat as well as observe the flow of thermal energy in a fun and engaging way. How do you teach students intangible scientific concepts? 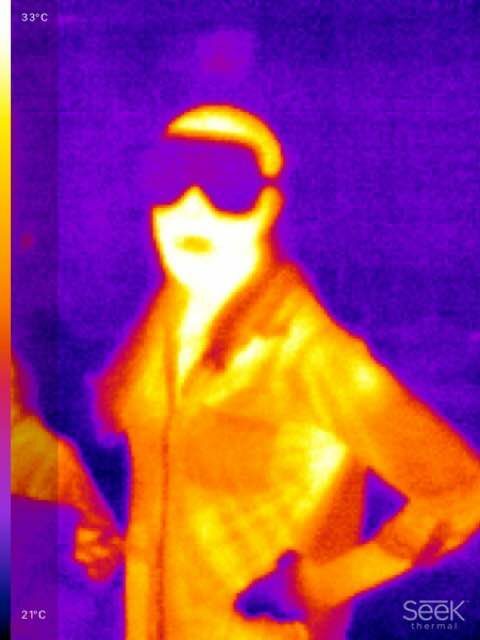 Though many scientific concepts can be taught through hands-on experimentation, the topics of thermal imaging and heat transfer are more challenging. Historically, this has been a challenging unit for students, as the flow of thermal energy is not directly visible, but rather must be evaluated by indirect means with a slow and limited technology (primarily measuring with thermometers). The concepts are not as tangible as in other units, making it difficult for students to explore and observe the processes independently. What if students could observe and experiment with heat transfer through hands-on experimentation just like electricity or physics? What if students were so engaged that they forgot they were learning? 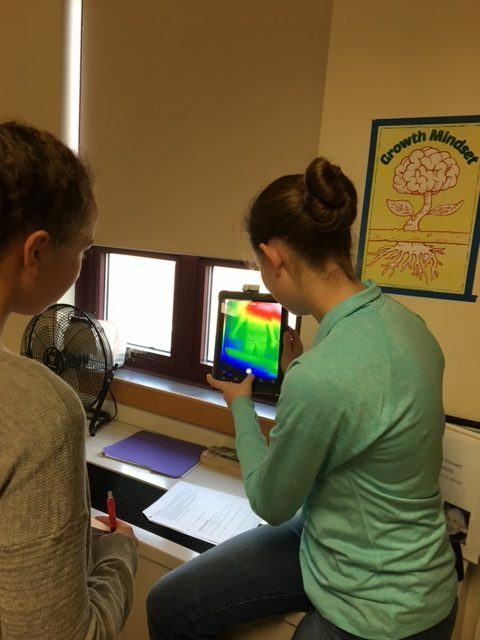 Through an Innovations in Education grant, 8th graders at Ottoson Middle School turn daily technology devices like iPads and cell phones into thermal imaging observation tools. 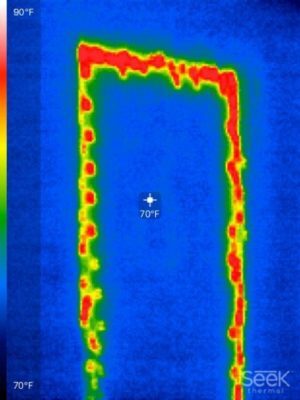 With the purchase of a set of thermal imaging adapters, the devices display thermal images using a free, manufacturer-developed app. 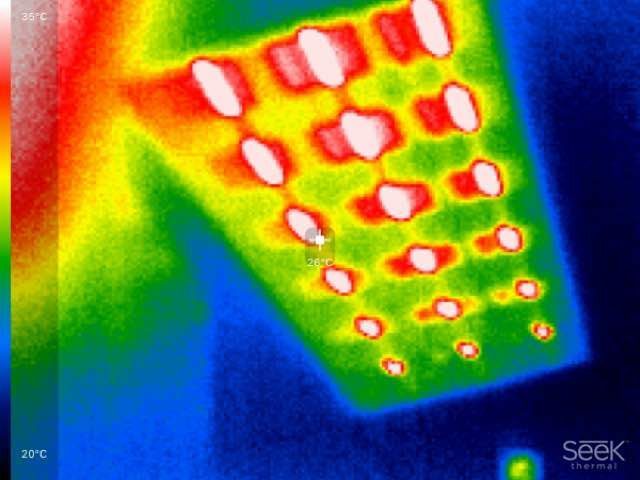 Students are now able to visualize heat sinks, heat sources and observe the flow of thermal energy in real time in a medium that is compelling and accessible. 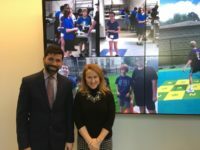 This technology allows the 8th grade Science teachers to expand and enrich the current curriculum and allow more independent, inquiry-based activities to complement traditional instruction. Students are able to observe and experiment with heat transfer through conduction, convection and radiation, and are able to observe good conductors and good insulators during lab activities. 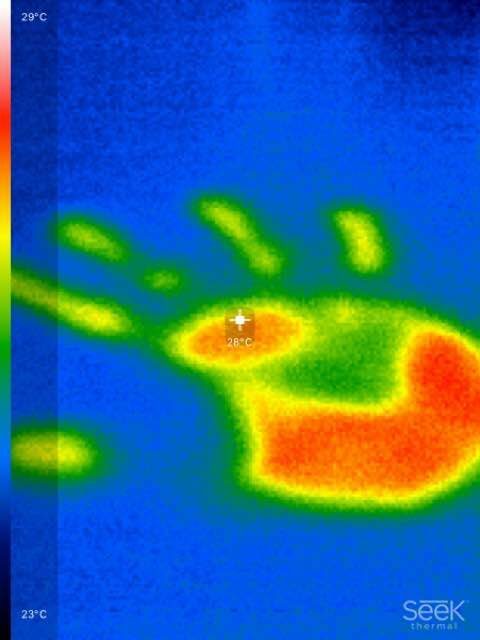 Students get first-hand knowledge of thermal energy by observing every-day classroom objects such as lights (radiation), handprints (heat transfer), metal wires (conduction), hands under fabric (insulation) and even heating pipes through a wall. 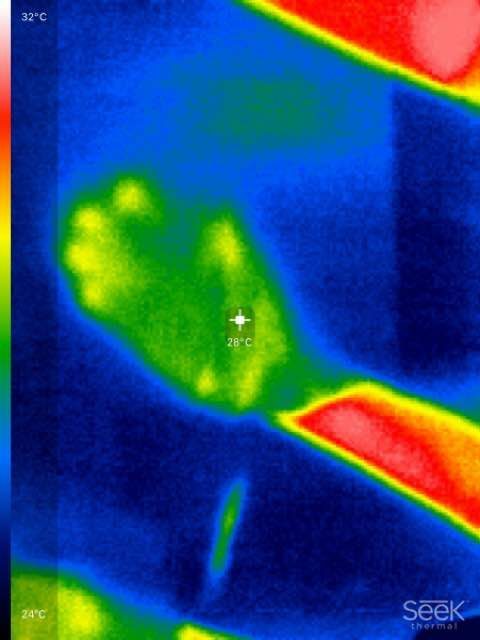 The cameras are also used during the insulator device design challenge to identify whether the student devices are working as good insulators as well as whether heat leakage is occurring.